Remember when you first got your iPhone, and it was totally pristine. Chances are, it’s got a few scratches now, and your contacts list is starting to get a little cluttered? 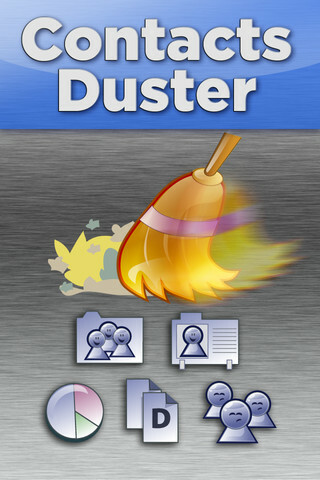 Thankfully,Contacts Duster Pro from developer MyClickApps is here to help. 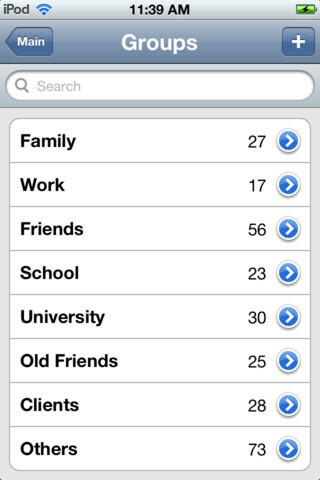 It’s a relatively expensive app at $2.99, but it’s a lifesaver for anyone with a hopelessly cluttered contacts list. If you want to view, merge, or purge entries, there’s no other app on the market more suited for the job. 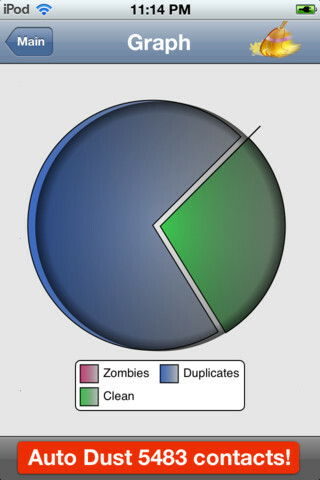 Not sure if the app is worth the investment? 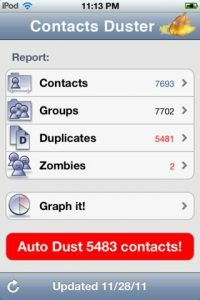 Contacts Duster Pro advises users to make use of the app if you’re switching between mobile carriers, upgrading to a newer iPhone model, or after you have imported contacts from your email account or social media accounts en masse. If you’re using your phone for business, you might have thousands of contacts, and you need to be able to scan through them quickly and know which contact listings have the most up-to-date information. Three bucks still seems a bit high to this reviewer for a casual or personal iPhone users, but for power users with hundreds or thousands of contacts, this app is a total lifesaver, and takes the hassle out of hunting down contacts. 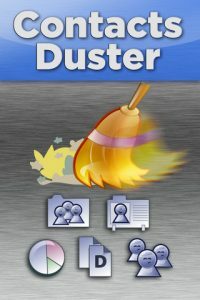 If you can’t sync your phone with iCloud, or iCloud creates a whole pile of duplicate contacts, Contacts Duster Pro is the most enjoyable way to clean out your phone’s messy Contacts section. The only beef we have is with the price. 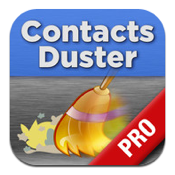 Contacts Duster Pro is compatible with iPhone, iPod touch, and iPad. Requires iOS 5.0 or later. A small expedite fee was paid by the developer to speed up the publication of this iPhone App Review.